Petsec Energy has commenced drilling on 6 September 2015 on the HBY RE SUA; Rauser ET AL No. 1 well. The well is being drilled on the Northeast Starks prospect, located in Calcasieu Parish, Louisiana. The prospect is located approximately 25 miles northwest of the city of Lake Charles, Louisiana. Petsec Exploration and Production L.L.C. is designated as operator of the well. The well is being drilled as a straight hole to a total depth of 9,200 feet to test Oligocene age Hackberry sand reservoirs. The well is expected to take approximately two weeks to drill. Petsec has a 45% working interest in the well before pay-out with a 33.75% net revenue interest. After pay-out of the first well and in any subsequent wells Petsec will have a 36% working interest (27% Net Revenue Interest). 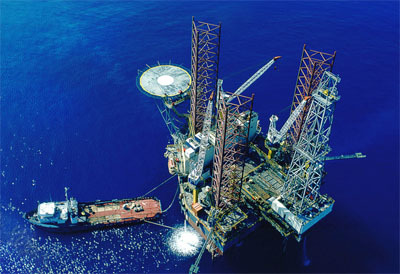 The Company's share of up-front and drilling costs for the first well is estimated to be US$850,000. Completion and hook-up of the well is estimated to cost an additional US$500,000 net to Petsec.